The persecutions of the early Christian communities in the first 3 centuries before Constantine came to power brought forth heroic stories of men and women who suffered torture and death for the faith. The cult of the martyrs was already extant, but came into the light with the legalisation of the Catholic Church. This tour visits some of the principal places of the early Catholic Christian communities and shows light on who they revered within them as holy women. First among these is obviously the mother of Jesus, Mary, ever virgin. Devotion to the Blessed Mother is evident from the apostolic age and we begin our tour with a visit to one of the oldest Churches dedicated to Theotokos (Mother of God) in Rome containing, beneath its center altar, wood from the manger in which our Lord Jesus Christ once lay. Of course, we're talking about the Papal Basilica of Santa Maria Maggiore aka St Mary Major. 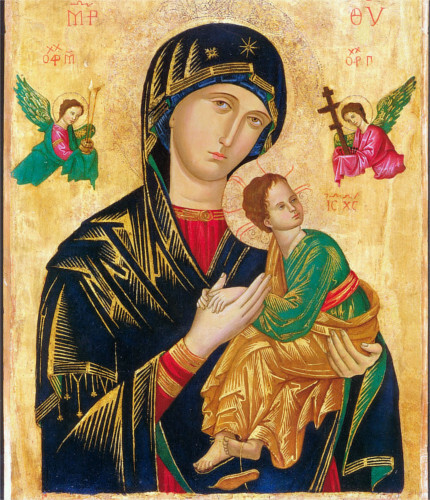 You will explore Mary's role in the early church and how the understanding of her mission has developed throughout the centuries as we continue on to the church of San Alfonso Ligouri to learn about the beautiful 15th century Byzantine icon “Our Lady of Perpetual Help / Succour” also known as the Virgin of the Passion. From there we meander to the Basilica of Santa Prassede built in the 8th century it holds some of the finest examples of medieval Christian art and holds part of the pillar upon which Christ was flogged. We learn who Santa Prassede was and about some of the other notable early Christian women. 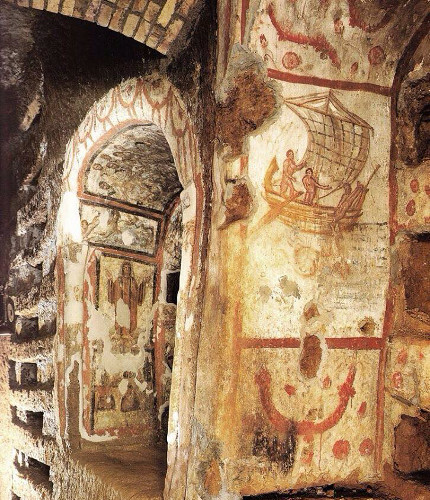 You then continue down the hill to the early Paleo Christian Church of Santa Pudenziana to marvel at the early architecture and lives of these early Christian women and their witness. Continuing on down the cobbled streets into the ancient district of Monti where Julius Caesar was born, you will stroll into a bohemian vibrant area of Rome that is often overlooked with tourists and contains authentic Roman culture. This is most evident at the Piazza of Santa Maria di Monti where we discuss the effect of the modern Christian women on the modern Italian culture. This is a great place to also get some food, a gelato, a drink of cold beer or wine, or simply sit in the square to watch the Italians go by. Four tours in our three days in Rome my husband and I took the Catacombs, Vatican City, Coliseum and Early Christian Women tours and just wish we had more stamina and time for some of the other tours we couldn't fit in. For us, our tour guides really made each experience memorable. Within five minutes of meeting Blitch for our catacombs tour we felt like we were with an old friend who wanted to share a special experience with us. His background in theology and personal life experiences helped bring the early Church and martyrdom choice into the present day and plight of many Christians throughout the world today. He was also very generous with his time being willing to stay after noon when we discovered, because of the Nov.1st holy day, St. Clement's crypt wouldn't open until then. We just couldn't stop talking so he graciously accepted our invitation to lunch and showed us a favorite restaurant with great food. We were lucky enough to have him for our last tour, Early Christian Women. Andrea's knowledge and love of art enriched our visit to the Vatican well beyond anything we would have experienced on our own and we really enjoyed his anecdotes about the famous artists whose work we were seeing. And James was a walking encyclopedia on our tour of the Coliseum and Palatine Hill. He talked about the Roman emperors as if he knew them all personally, but his knowledge and so deep and broad based, it was truly awe inspiring. We could have talked with him all day. Luckily for us, James was also willing to spend his lunch time with us so we could continue to discuss some of the broad themes in history that seem to be returning today. And lastly, we are very thankful to Tom who consistently helped us from our first thinking we might want to use Eternal City tours right up until the day before our Coliseum tour making sure the tour would go on. We can't say enough good things about Eternal City Tours. We're so glad we found them and didn't book with another tour group. We would never have gotten the personalized attention we received from Blitch, Andrea, James and Tom. Thank you and God bless and guide you all.